If you have a vegetable garden, you've probably grown radishes, carrots or even beets. But what about turnips? When it comes to growing vegetables, turnips probably aren't at the top of your list. They may not be the most popular root vegetable, but they taste good and they're good for you. The look a bit like a big radish, but with a milder taste. Turnips like cool weather, so you can plant them early in the spring. They can be used in place of potatoes, they're good raw in salads and even the greens are edible. By the way, turnips have been around for thousands of years. In fact, they were the first jack-o-lanterns. 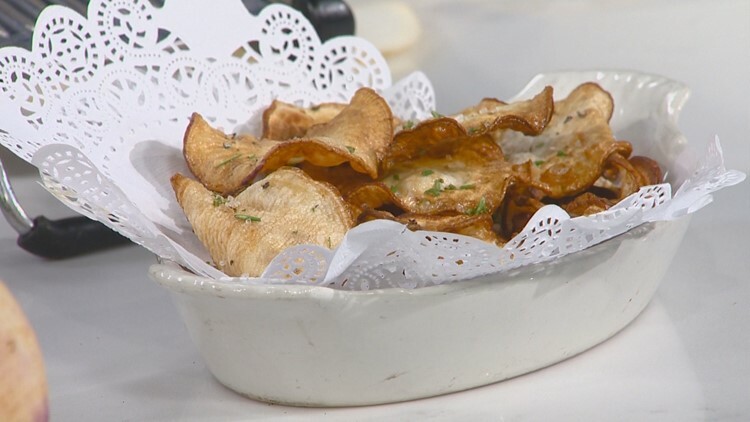 To help us turn turnips into a delicious meal, we asked Chef Lou Aaron from Westside Drive-In for some tips. 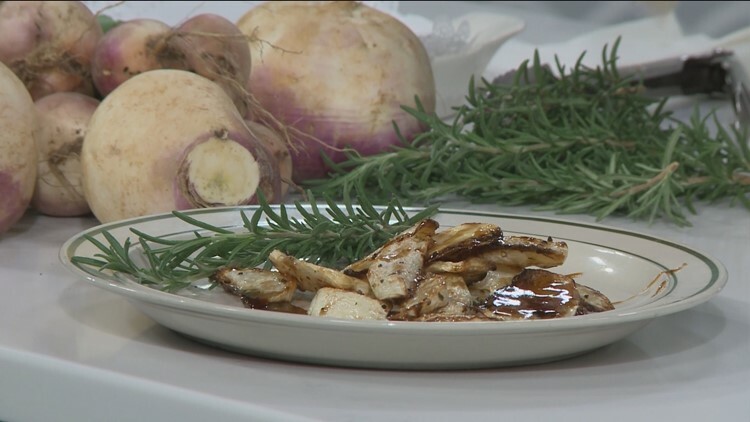 For step-by-step instructions on how to make Chef Lou's Maple Glazed Roasted Turnips and Rosemary Turnip Chips, watch the video above and check out recipes below. Preheat oven to 400 degrees. In a bowl, combine turnips, olive oil, rosemary, salt and pepper. Toss well, then transfer to baking sheet. Place in preheated oven and cook for 15 minutes. Remove from oven. Transfer turnips back to bowl and drizzle with Maple glaze(recipe below). Serve immediately. Combine all ingredients in a saucepan and bring to a simmer. Cook for 5 minutes, then remove from heat. Drizzle over turnips. Heat oil in a large saucepan. Heat to 350 degrees. Gently lay turnip slices in hot oil, and cook for 3-4 minutes, turning about every 30-45 seconds. Remove when turnips start to brown. Remove with slotted spoon and drain on paper towels. Sprinkle with sea salt, pepper and minced rosemary. Serve immediately.